Washing machine need repair? 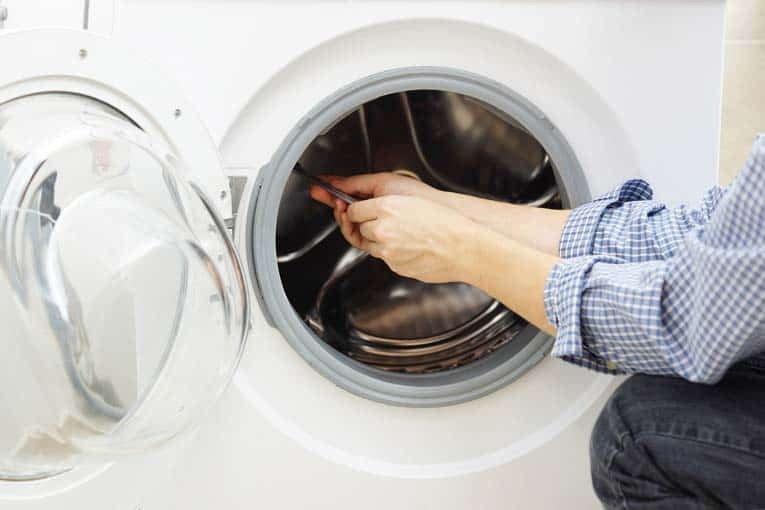 Troubleshoot and fix common clothes washer problems with this expert DIY advice. Includes step-by-step instructions for a washer that doesn’t run, rinse, fill, or spin. Includes washing machine leaks, a shaking washer, and more. Washer not working? You might be able to handle some repairs yourself. A washing machine is basically a big tub that repeatedly fills with water and then drains, spins to wring clothes dry, and has a device for stirring the contents up—either an agitator in the middle of a top-load machine or a rolling drum in a front-loading machine. The four cycles that every washer performs are fill, wash, drain, and spin. Though these functions are pretty basic, a number of things can go wrong with them. You can fix a number of problems quite simply. 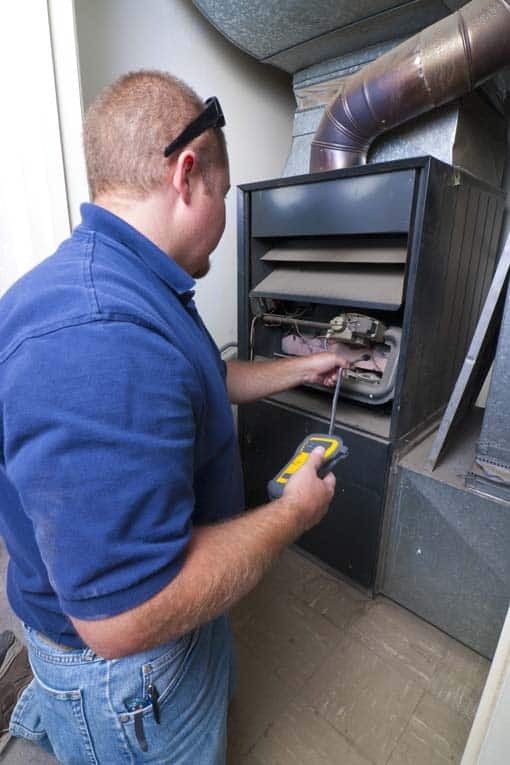 Some issues, however, are better left in the hands of an appliance repair person. Before working on a washing machine, be sure to unplug it. 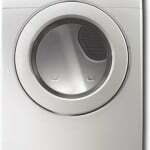 A front-loading washer must be empty before you can open the door to work on it. 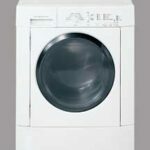 If the washer doesn’t do anything—in other words, it doesn’t operate or make any noise when set on any cycle, it may not be receiving electrical power. 1 Be sure the machine is plugged in and turned on. If necessary, check the receptacle it’s plugged into for power, using a working lamp, appliance, or voltage tester. Be sure the washer lid is closed completely. 2 If the receptacle seems dead, check the circuit breaker or the fuse that serves it. 3 Check the power cord. Unplug the washer and check its cord for a break or frayed area. If necessary, replace the cord. 4 Open the lid and check the lid switch and the tab on the lid that it pushes against. Press and release the switch. If it doesn’t click when you do this, it’s probably broken. Remove the switch, test it, and replace it if needed. 5 If the washer still doesn’t work, the controls may be faulty. Call an appliance repair person. HomeTips Pro Tip: To prevent problems with your washing machine, follow good maintenance procedures. Use the right amount of detergent for your washer and your water hardness, make sure the machine is level, and don’t overload it. If residue remains on your clothes or in the washing machine following a cycle, the problem may have any of several causes. First, make sure you’re using the machine properly. In other words, put the right amount of soap in the load, don’t overload the machine, and so forth. Check your owner’s manual for this information. Just an overly bulky load can cause improper rinsing. If these types of issues are not causing the problem, the chances are good that the rinse water is not getting into the drum or is not draining out properly. 1 Check the supply valves. Make sure the water supply valves that serve the supply hoses are open all the way. 2 Make sure the supply hoses are not kinked. 3 Check the drain hose to make sure the machine is draining fully. A blockage can cause dirty rinse water to back up and remain in the drum. When you run a load, watch the machine to make sure it empties completely after each wash and rinse cycle. 4 Check to make sure the cold water supply hose isn’t blocked. Turn off the valve to the hose, and then disconnect it from the machine. Put the end into a bucket and turn the faucet back on. It should deliver a strong flow. If it doesn’t, the hose may be partially obstructed. To determine if it is, disconnect the end from the valve, screw it onto a hose bibb outdoors, and try again. If the flow is still constricted, either clear or replace the hose. 5 If these measures don’t work, call a washing machine repair person. 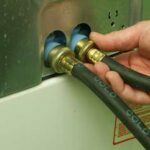 Leaking water from a washing machine usually comes from hoses or connections. Be sure that water appearing to be a leak isn’t drain water from a backed-up standpipe. To prevent potential flood damage, which can occur if washing machine supply hoses burst, be sure to install “no-burst” stainless-steel mesh hoses and lever-type shutoff valves, as shown at right. 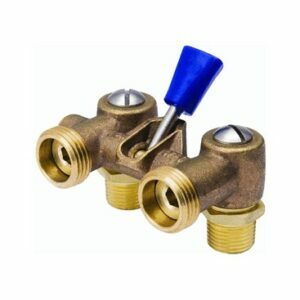 With these, you can easily turn off the levers for both hot and cold water between wash days. 1 Check the fittings where the hoses connect to the faucets and to the back of the washing machine. Also look for worn or leaky hoses. 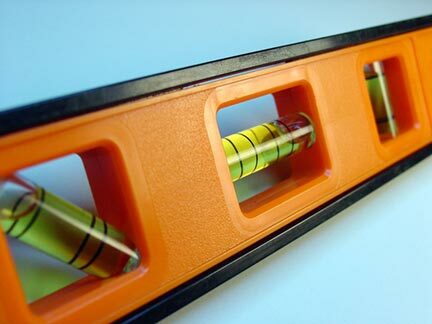 Tighten couplings or hose clamps if needed, or replace the hoses altogether. Be sure to turn the water off before removing the hoses, and then drain them into a bucket after disconnecting them. 2 Determine whether the machine is oversudsing, which can cause it to overflow. Reduce suds by pouring in 1/2 cup white vinegar in 1 quart water. Then switch to either less detergent or to a low-sudsing variety. 3 Check seals and bearings. 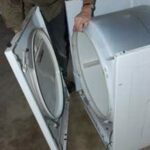 The machine may have a faulty basket gasket or tub seal and bearing that must be replaced; in this case, call an appliance repair person. 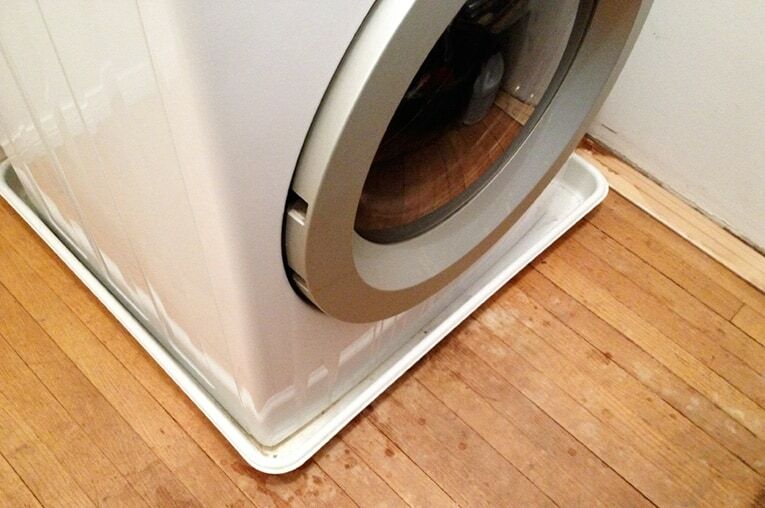 Plastic tray, available at home improvement centers, protects the floor if the washing machine has a small leak. If both hot and cold water seem to be entering the washer with good pressure, water may be draining out prematurely during the fill cycle through siphoning action. Be sure the drain hose’s connection to the standpipe is at least 34 inches above the floor (otherwise, discuss the problem with a plumber). An air gap between the drain hose and standpipe that prevents backflow is also good to have. Another reason for the washer not filling may be that the water-level switch, timer, or temperature selector is broken. If your washer is overfilling, you may have a defective water-inlet valve or water-level switch. A broken water-inlet valve will often cause water to leak into the clothes tub. A faulty water-level switch cannot detect the correct water level in the tub and signal the water to turn off, resulting in overflow. 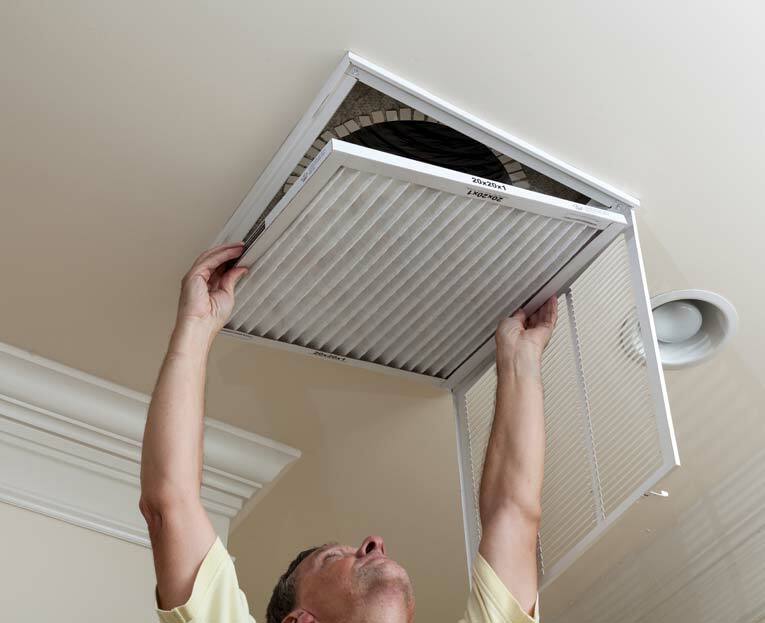 These repairs are best handled by an appliance repair person. In most cases, a washing machine shakes or vibrates when it isn’t sitting level on the floor or because it has an out-of-balance wash load. Here’s how to get it to settle down! First eliminate the possibility of that the washing machine is shaking because of an out-of-balance load. Adjust the load if it has scrunched up on one side of the tub. Then check the machine for solid, level support. Place a level on the washing machine to make sure it’s level from side to side and front to back. Also be sure the floor is solid. For the machine to work properly, the floor must be flat, level, and strong enough to support the heavy, water-filled washer without deflecting under the load. 1 Unplug the washer before doing any work on it. 2 Check the leveling feet. Look under the washer and make sure all feet are resting firmly on the floor. If one or both of the front feet are not tight against the floor, unscrew them (turn counterclockwise) until they’re tight. Note: The front feet should be as short as possible—do not fully extend them. Place a level on top of the washing machine and adjust the front feet slightly if needed to level the washer. 3 Make sure the front legs have rubber caps and locking nuts to keep them tight. If they don’t, buy these parts and install them. Note: You can buy anti-vibration pads to put under the feet—these help a lot (see below). 4 If necessary, tilt the washing machine forward. This will allow the back feet to self-adjust. Recheck for level, and adjust the front feet again. Plug in the machine and run it empty. Run it through the spin cycle to see if it still vibrates. If it does, call an appliance repair person.